The Force is strong with these sets. Star Wars has always been among LEGO’s most popular themes, and it is not hard to see why. While hundreds of Star Wars sets have been sold over the years, in 2015, LEGO took it a step further: Ultrabuild. 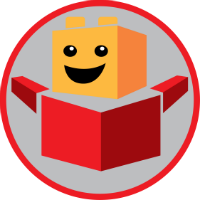 Based on the same formula of TECHNIC-based action figures set by BIONICLE, Star Wars Ultrabuilds adapted some of the most popular characters into LEGO action figures. Many have seen a release since 2015, but today, we will be talking about the best LEGO Star Wars buildable figures (Ultrabuilds). Please note: all these sets are for ages 8-14. If you do not know whom Darth Vader, one of the most iconic villains of all time, is, then leave. I am serious. Born as lowly slave Anakin Skywalker, the future Darth Vader was discovered by the Jedi as a child. Recognizing his unrivaled connection to The Force, the Jedi hesitantly took him in. Anakin grew up to become one of the Jedi’s greatest warriors, but he was also plagued by inability to accept losing those he loves. That weakness left Anakin easy prey for Darth Sidious, who manipulated him into turning on the Jedi to save his beloved wife. After being maimed by his former master and left for, he was rebuilt into an instrument of terror: Darth Vader. 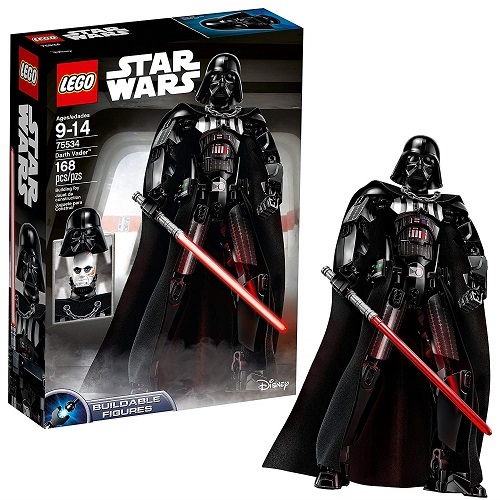 Lord Vader was tall and imposing in the films and this 12″ LEGO Star Wars buildable figure retains that look. At over 168 pieces, Darth Vader has everything from the movies. His jet-black armor, billowing cape, and crimson lightsaber are all in this set. With more than a dozen points of articulation, not counting the head, Vader is very posable. His movement is only enhanced by the gear-operated function in his arms. The best part, though, is that his helmet can be removed, revealing Anakin Skywalker’s scarred face. Everything is there in Vader’s visage: the helmet, the armor, the cape and lightsaber. It is like looking at a mini Darth Vader. It is perfect for any Star Wars fantasy! This buildable action figure is a necessary have for any Star Wars fan. Think of how many amazing stories you can create with this thing! Once upon a time, the greatest bounty hunter in the galaxy, Jango Fett, was approached by the Sith and asked to be the template for an army of clones. Fett agreed, on one condition: he kept an unaltered clone for himself. That clone became his son, Boba Fett. Boba would grow up to be the best bounty hunter in the galaxy. That is, until he fell into the Sarlaac Pit. Since that is stupid and Disney has not said otherwise, we are going with the Expanded Universe canon. He escapes and continues his career #makeitcanon. 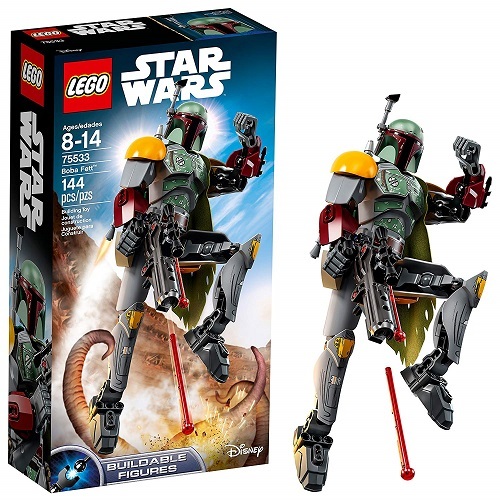 Regardless of his short screen time, Boba Fett is one of the galaxy’s most dangerous men, and that carries over into this LEGO Star Wars buildable figure. Clad in his people’s Mandalorian armor, this 144-piece set stands an impressive 9″ with the antenna. The detail on the pieces is impressive, to say the least. Look close and you will see the worn patches on the pieces, representing the wear and tear on Boba’s armor. The most impressive features, though, are his blaster and jetpack. Made from TECHNIC bricks, the Jetpack comes with its own portable flick missile. In the movies, this was an anti-tank missile, showing that Boba’s prepared for anything. His blaster rifle is spring-loaded and comes with extra ammo to reload with. This LEGO Ultrabuild set manages to capture Boba Fett’s menacing appearance with a good deal of accuracy. Aside from the same posability as the other buildable, the big draw to this is his blaster and flick missile. Boba Fett is what we call a breakout character: someone who was never meant to be popular, but ended being just that. If you are a fan of Boba Fett, then this set is the one for you! During the Age of the Empire, the elite Imperial Royal Guards protected Darth Sidious. Silent as stone and clad in all red, they were the most elite soldiers in the galaxy. Decades later, Supreme Leader Snoke guarded himself with his own elite soldiers, the Praetorian Guard. Wearing armor and using weapons that could resist the blade of a Lightsaber, they were a deadly force. That still did not stop Kylo Ren and Rey from turning them into space debris, though. At 92 pieces, this Star Wars Ultrabuild set falls nice and square into its age rating of 8-14. Enough to give kids a modest challenge, but small enough to keep them from getting mad. Why get red with anger when the Elite Guard is doing that already? Speaking of the Guard, everything is in red. The only non-red pieces of the set are either the weapons or the joint pieces. The Elite Praetorian Guard comes clad in a textile skirt and armor, but that does not inhibit its ability to move. It remains as posable as any other Star Wars buildable figure, complete with lever-activated arms. The coolest, part, though, is the weapon. The Guard comes with a double-bladed staff that can split into two smaller weapons that are as deadly. All told, the Elite Praetorian Guard is ready for any threat towards the Supreme Leader. Well, almost any threat. This is an amazing set for one of the best fighters in Star Wars. The Praetorian Guard may have had a short time on screen, but they left an impression. Now kids can recreate the fight scene in the throne room with this set. Say what you will about The Last Jedi, you have to give it credit for the costumes. The Praetorian Guard is a group of warriors even Jedi would think twice of crossing blades with. Now, here they are in all their crimson glory. If you liked the film, you should get this. I remember when I first met Darth Maul: he never spoke; he simply stood there with those yellow eyes, those tattoos and horns. Scary. He was also one of three good things about Star Wars: The Phantom Menace. Born on Dathomir to the Nightbrothers, Maul was taken by Darth Sidious to be his first Sith Apprentice. Under him, he became a cold-blooded killing machine. His appearance during the Naboo Incident and of Obi-Wan’s murder was a message to the Jedi: the Sith had returned. Sad for Maul, but he appeared to pay for that revelation with his life when he was sliced in half by Obi-Wan. To everyone’s surprise, Maul survived and went into hiding. Re-emerging in the midst of the Clone Wars, Maul sought to carve his own path to power and kill Obi-Wan. It got to the point where Darth Sidious personally stepped in to put his apprentice down. Again, Maul would survive, living well into the era of the Rebellion and confronting Obi-Wan one final time. On the sands of Tatooine, Obi-Wan finally slew his nemesis. He died in Obi-Wan’s arms, reassured by his enemy that the Chosen One (Luke) would avenge them both. 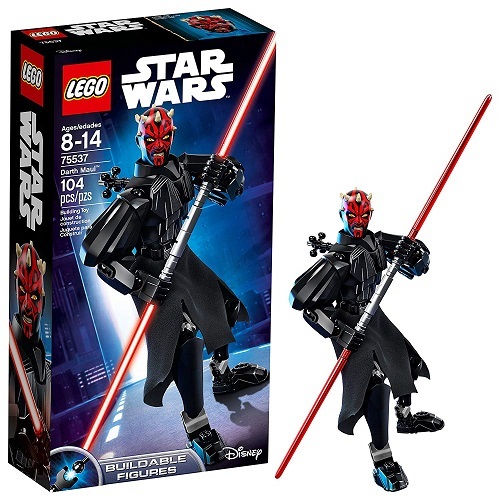 Now, Maul has been reborn in LEGO form. Standing at 10″ tall, this 104-piece figure is as scary as he is in the movies. Featuring the same black armor as Darth Vader, he even has the same arm-swinging abilities. Thanks to his limbs, he can assume the same acrobatic poses seen in the movie and show as his tunic swooshes through the air. The coolest part, though, is Maul’s Double-Bladed Lightsaber. Officially called a “saberstaff”, they are usually only used in training, because they are so dangerous. In Maul’s hands, though, they are the perfect weapon. We get another amazing Sith Lord and one of the best things to come out of the prequel trilogy. This is the same movie that gave us Jar-Jar, so let us remember that not everything about the movie was bad. This was one of the good things to come out of it! This LEGO Star Wars buildable figure would make for an amazing part of any Star Wars collection, and is something that kids who grew up on the prequels would want. I know I do! Who, exactly, is Rey? Is she Luke’s daughter? Sad to say, but likely not. Is she Obi-Wan’s descendant? Who knows? Is she the daughter of some nobodies? Who cares anymore? The main hero of the Star Wars sequel trilogy, Rey was a scavenger on Jakku who is drawn into the conflict between the First Order and the Resistance. From that, she learns that she has one of the strongest connections to The Force ever seen! After fighting and besting Kylo Ren in a duel, Rey sought out the legendary Luke Skywalker in the hopes of becoming a Jedi. What she found was an old man who was too busy feeling sorry for himself to be of any help. Therefore, she decided to go out on her own and discover her own path as a Jedi. Wielding Anakin Skywalker’s lightsaber and a blaster, she is ready to take on the First Order. 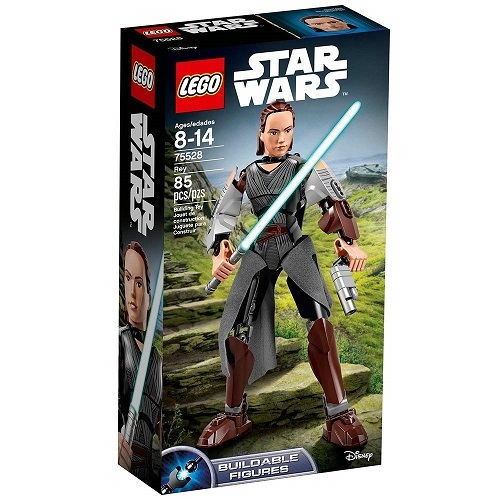 At 10″ tall and 104 pieces, Rey comes dressed in her Last Jedi attire. Containing the same gear-activated arms as Vader and other sets, she is impressive. She does not carry Anakin’s lightsaber though: she also has a blaster given to her by Han Solo that she uses. Future Jedi need to invest in blaster training as much as lightsabers, if you ask me. Aside from being the main hero of the next generation of Star Wars, the main draw to this set is how well it captures Rey’s appearance. Her faces rendered in perfect fashion, her blasters recreated with regular LEGO pieces, and more. The Lightsaber could be unique, but this is LEGO. They are not miracle workers. Rey is one of the best things of the sequel trilogy, and is a great character and Jedi. If you are a fan of the next generation of Star Wars, then this is the set for you. Darth Vader has been taken, so for best villain, I went with junior. Born Ben Solo, Kylo Ren is the grandson of Anakin Skywalker, and thus crazy powerful in The Force. His uncle Luke tried to train him as a Jedi, but Ben became clouded by the need to surpass his grandfather. The enigmatic Snoke planted the seeds of darkness in his mind, but it was only when Luke made a tragic mistake that they took root. Forsaking his birth name, Ben Solo became Kylo Ren, leader of the Knights of Ren. Following the events of The Last Jedi, Ren assassinated his master Snoke and took his place as Supreme Leader of the First Order. He did what his Grandpa Vader never had the guts to do; congrats. Kylo Ren takes a lot after his Grandpa Vader in appearance. At 10″ tall, he is almost as tall as Vader is, and as intimidating. With 86 pieces, Ren is clad in jet-black armor and a mask meant to emulate Vader’s. He has the same gear-activated arms as Vader, Rey, and several others. The main draw, though, is his lightsaber. The crystal that powers his lightsaber’s cracked, making it unstable. Thus, he wields a special cross-guard lightsaber to vent out excess energy and keep it from exploding. It is as scary as it looks, and as deadly. As it stands, Kylo Ren is the main antagonist of the sequel trilogy and Rey’s arch nemesis. Thus, he is a big deal, and should be treated as such. With a rematch between the two coming soon, this set will be a good edition to a Star Wars collection. Aside from the obvious and not-so-obvious feelings of inferiority towards his grandpa, Kylo Ren is a decent character. The question of whether he will remain in the Dark Side of The Force is one that will, hopefully, be answered soon. 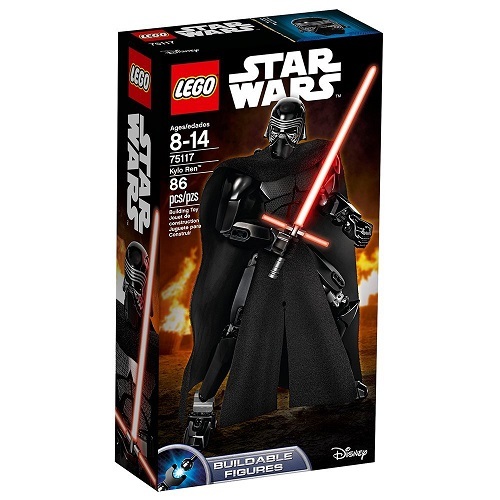 Until then, this is the best LEGO Star Wars buildable figure to have for a Dark-siders collection. 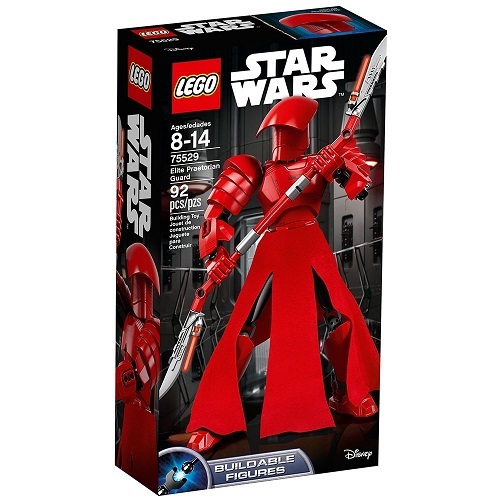 Find the 6 best LEGO Star Wars buildable figures, including; Darth Vader 75534, Boba Fett 75533, Elite Praetorian Guard 75529, Darth Maul 75537 and more!